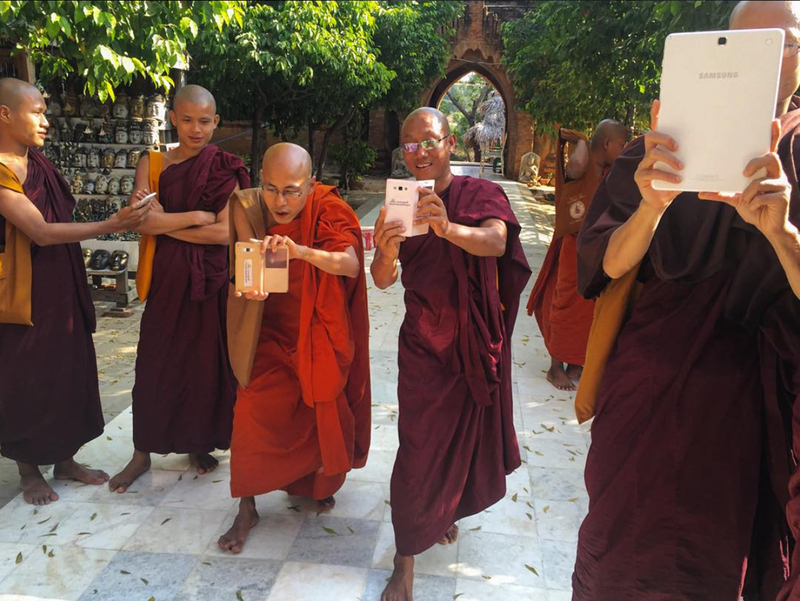 Join YPT for our fourth ever Christmas tour to Myanmar! Myanmar, also known as Burma, was long considered a pariah state, isolated from the rest of the world. 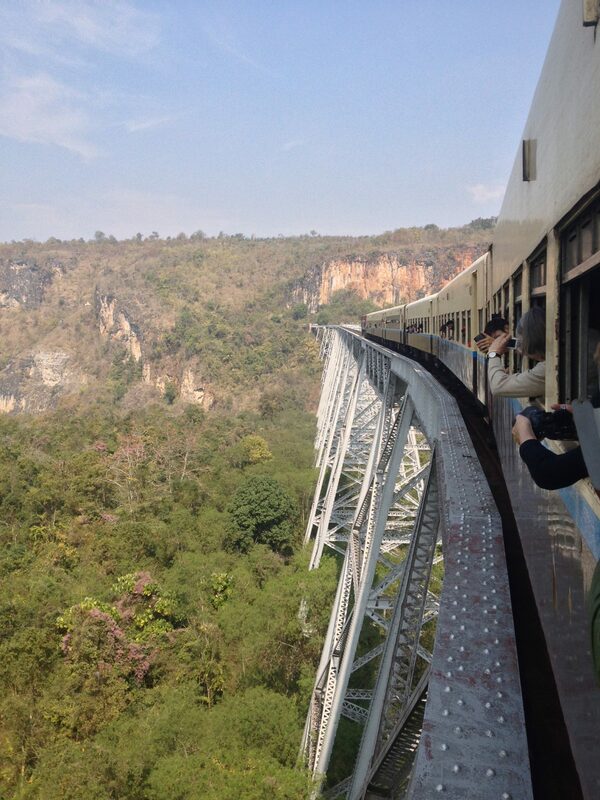 Tourism there is still a growing market, with Myanmar receiving fewer visitors than any of her surrounding neighbours, so take this chance to see it while it’s still off the beaten track and not yet entrenched in the typical South East Asia backpacker route. 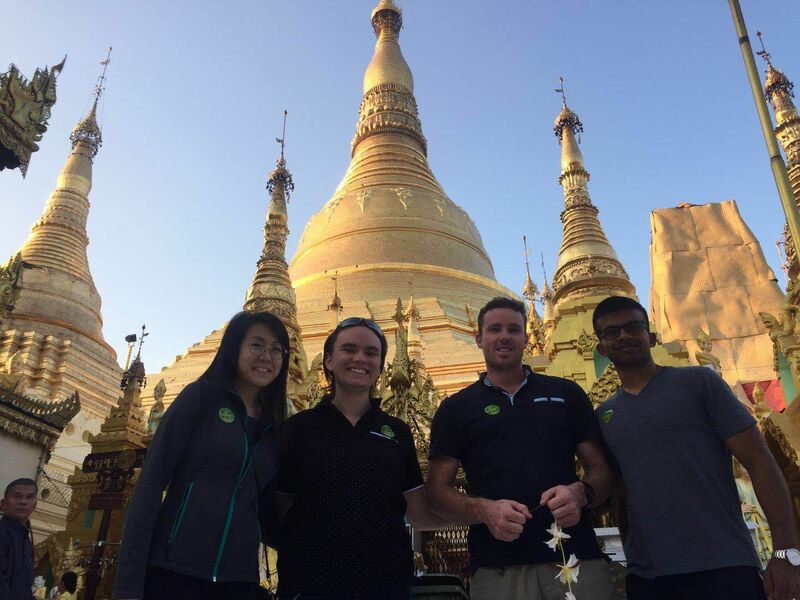 The tour kicks off in Yangon, the former capital and largest and most vibrant city in the country. After visiting temples, local markets and traditional villages, we make our way through the country to watch sunsets over ancient ruins, drink in bars perched on lakes and party it up at a night carnival. Home to the most extensive and densest concentration of Buddhist temples, pagodas and ruins in the world, this stunning country boasts some of the most beautiful scenery on earth. Mix that with the YPT ethos of good times, jam-packed itineraries and a healthy dose of partying, and you’ve found the perfect place to spend your Christmas this year. 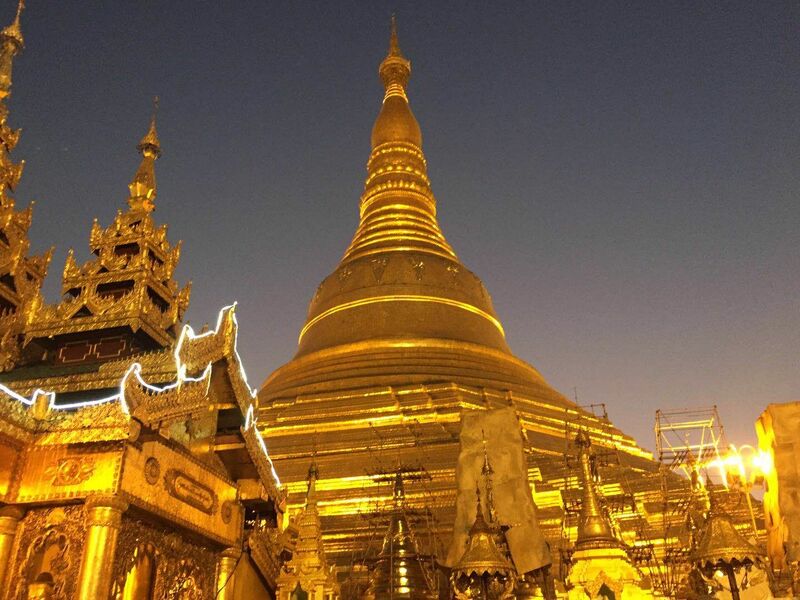 Arrival at your own leisure into Yangon, former capital and largest city in Myanmar. Transfer to our hotel. 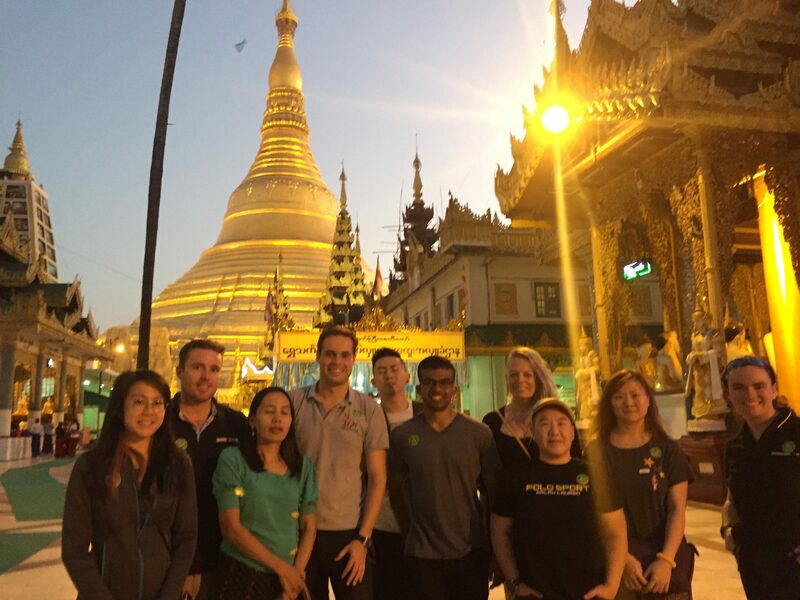 Meet the rest of the group before heading out to watch sunset at Shwedagon Pagoda, then out for dinner and a few drinks. We’ll go for our first Burmese meal and almost certainly check out various ‘beer stations’, the traditional way to enjoy a cold pint! Up nice and early for a tour of Yangon’s main sights. 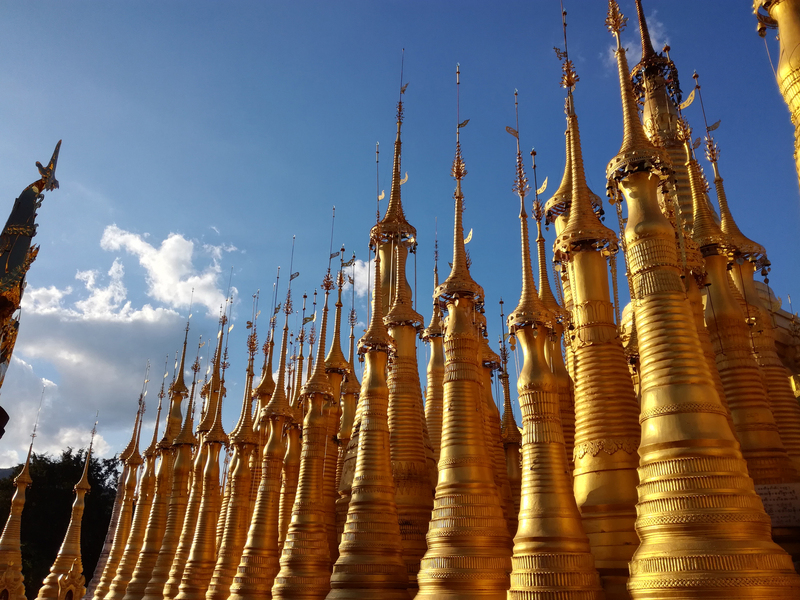 Check out the stunning Kandawgyi Lake, Reclining Buddha, and Temples. (Pack trousers or a skirt that cover the knees, and something to cover your shoulders). Lunch on some local delicacies. Next, we hop on the Dallah Ferry to visit a traditional Burmese village. Plenty of opportunity to take incredible pictures! If you’re looking for an authentic travel experience, this is it! After stocking up on dinner, snacks, and of course traditional Burmese booze, we jump on the overnight bus to Bagan. Early morning arrival in Bagan. 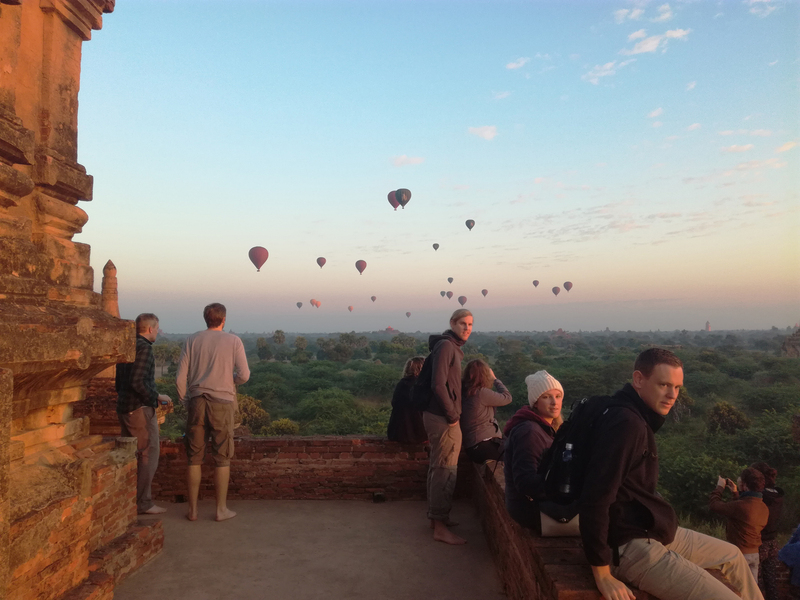 Transfer to hot air ballooning (optional extra) or to temple for one of the best sunrises in Myanmar. Check into hotel and a quick bite to eat before we head out for the day. 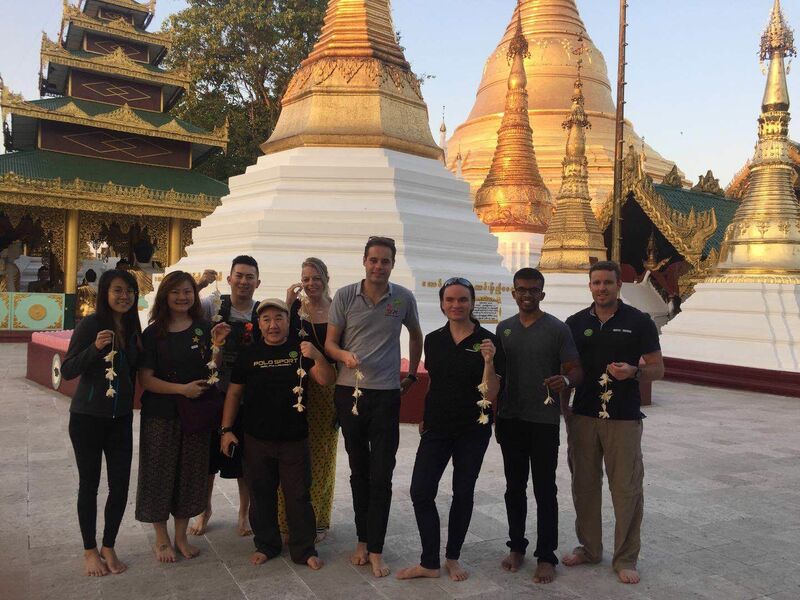 Big city tour of Bagan, an ancient city steeped in history and home to the largest and densest concentration of Buddhist temples, pagodas, and ruins in the world. After watching sunrise surrounded by temples we head to the river for sunset. Head to the Night Market/Carnival. This is a real party place and quite the eye opener! Dinner and drinks. Up nice and early for the five hour transfer to Mandalay, with a stop for snacks. Arrival in Mandalay, the second biggest and most important city in Myanmar. Check into hotel. Nice lunch before a quick city tour including Mandalay Hill, and the obligatory Temples and Stupas. Afternoon drive down to Amarapura for an incredible sunset over the U Been Bridge. At night we take it a bit risque by watching a show performed by the legendary Mustache Brothers, former dissidents that have done hard time in jail over their comedy. Dinner and drinks. Internal flight to Heho Airport. Transfer straight to Kalaw to grab a few supplies before we embark on a beautiful hike between Kalaw and Inle Lake, with a night in a local village in the hills. Christmas Eve night at local village homestay, dinner prepared by the family we are staying with. One of the best meals you will have in Myanmar! Finishing off with a few drinks with the family (don’t forget to bring some local whiskey or rum). Merry Christmas! We celebrate Christmas morning by saying goodbye to our local homestay family and continue with our stunning hike through the hills and rice paddy fields to Inle Lake. Arrive at Nyuangshwe, the most popular village in Inle Lake. Check in to hotel, quick freshen up before we go to Red Mountain Estate Vineyards & Winery for some well deserved Christmas celebratory drinks and watch the sunset over Inle Lake. Back to Nyuangshwe village for Christmas dinner and a few more drinks to wind up a Christmas like no other. Up nice and early for a full day out on the lake with floating markets and gardens, lotus weaving, cigar making, and traditional wooden huts poking above the water. Quick dinner before an overnight bus back to Yangon. Early morning arrival in Yangon and end of tour. Lots of options for international flights. 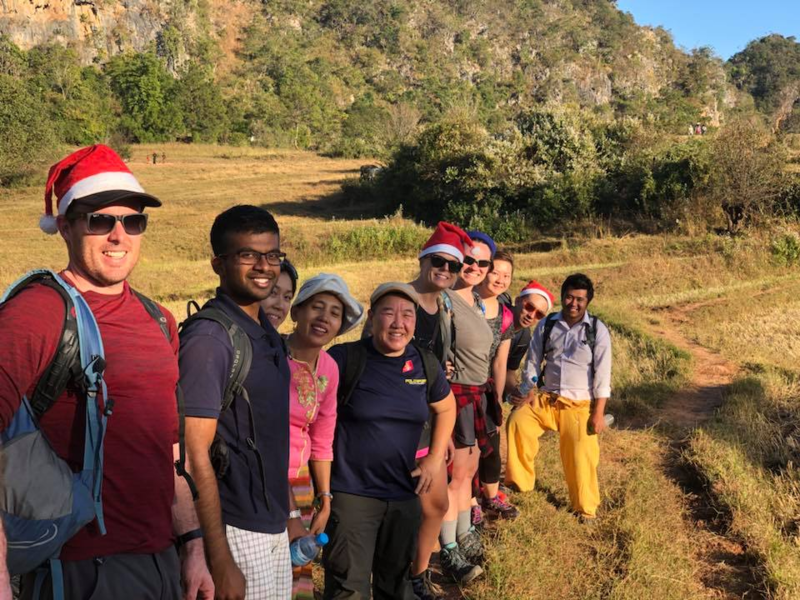 On Christmas Eve hike between Kalaw and Inle Lake, with a night at a local village homestay, with dinner prepared by the family we are staying with. Finishing off with a few drinks with the family, its one of the best meals you will have in Myanmar! 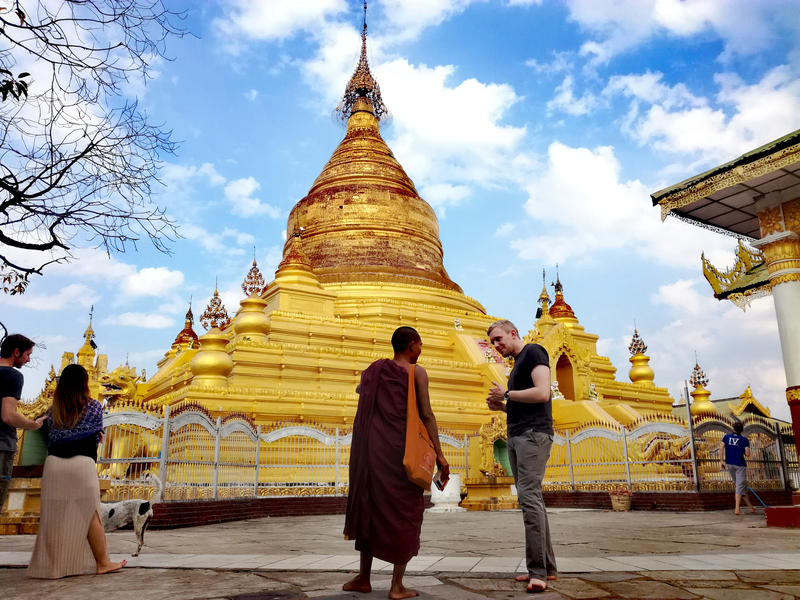 Check out Yangon’s main sights including the stunning Kandawgyi Lake, Reclining Buddha, and Temples as well as a walking tour through the bustling markets heading downtown past colonial buildings and Sule Pagoda. Spend a full day out on Inle Lake with floating markets and gardens, lotus weaving, cigar making, and traditional wooden huts poking above the water. If you like photography, sunrises and sunsets over amazing scenery, this is the tour for you!